Great for cadet camp kits, storage in the home or the wilds. 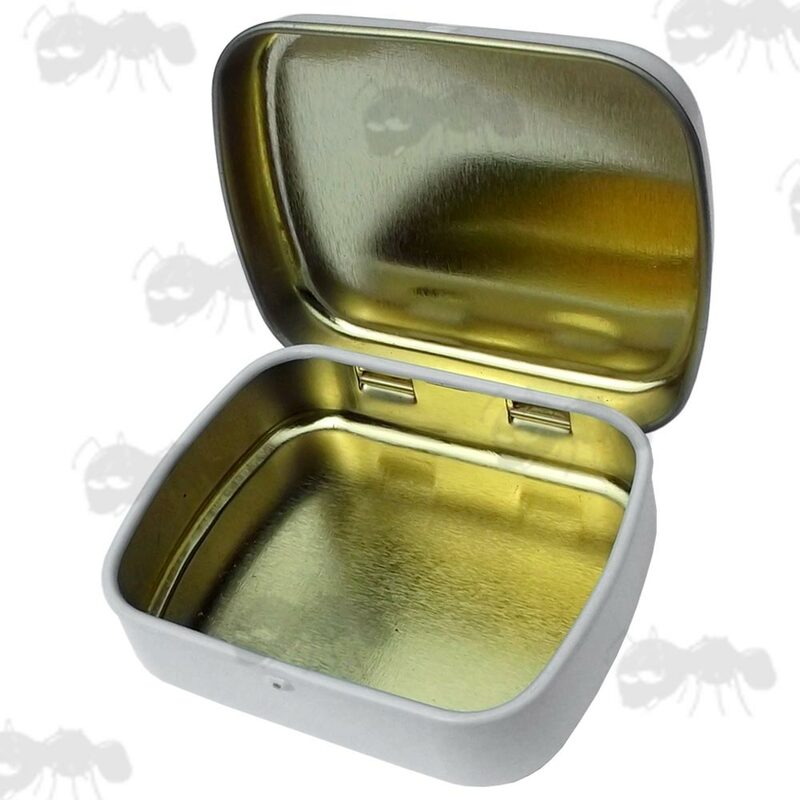 Small tin with white gloss exterior and gold colour tint inside. Shape; rectangular with rounded corners. Exterior dimensions; 62mm x 50mm x 17mm. Interior dimensions; 55mm x 44mm x 15mm. Please note that they are supplied empty. Hinged lid prevents it being misplaced. 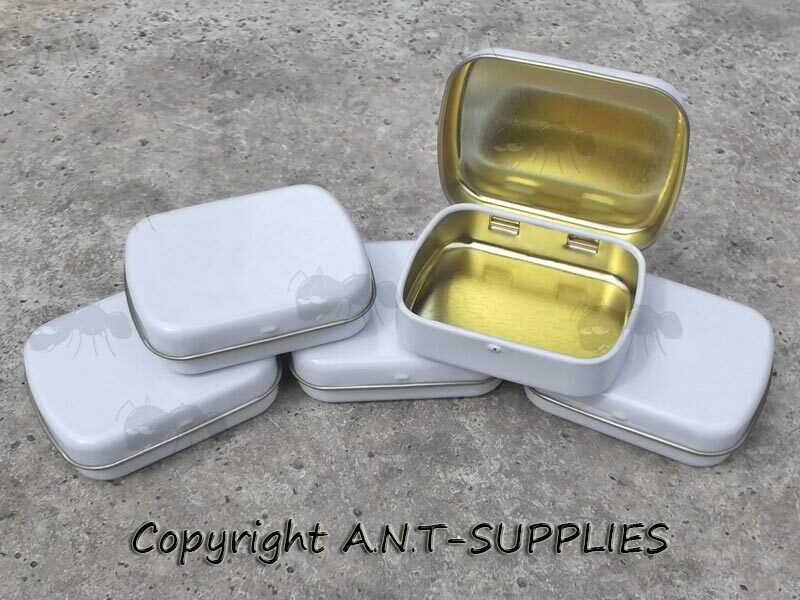 Small storage tin with many uses; Camping, Bushcraft, Fishing, Household Items, etc.